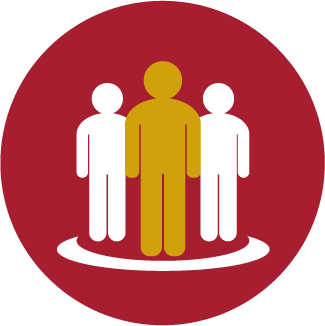 Human Resources is a business field focused on maximizing employee productivity. It is a function in organizations designed to maximize employee performance in service of an employer’s strategic objectives. HR also concerns itself with managing and encouraging organizational change. 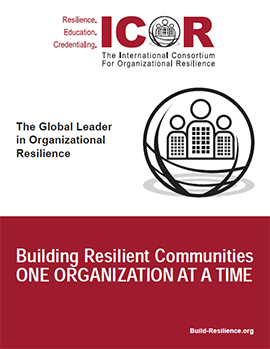 Organizational resilience is enhanced when organizations hire personnel with leadership qualities, leaders who encourage a culture of resilience, and leaders who can adapt to changing circumstances. ICOR’s courses in this discipline focus on developing effective leaders as well as how to develop a more resilient workforce. Audience: HR personnel, those responsible for training and personnel development, and OR leadership. Description: Resilience begins with an organization’s leadership setting the priorities, allocating the resources and making the commitments to establish organizational resilience throughout the organization. Managing an incident is a difficult task and leaders must change the way they lead in order to be more aware of potential crises. This workshop explores leadership qualities that have been shown to support the development of a more resilient organization and discusses those leadership qualities necessary to manage an organization, lead during changing times, and create an environment that is both adaptive and agile. Description: No one can argue today’s workplace environment is becoming more turbulent. In the midst of this hectic arena, employees and management alike are looking for answers to help them improve performance. A workforce that has a diversity of skills, leadership, knowledge and experience is a contributing factor to enhancing the resilience of an organization. People who are properly selected, motivated, equipped and led will overcome almost any obstacle or disruption. To harness people’s incredible ability to lead and respond during changing circumstances requires a systematic strategy for people selection and people support. This workshop explores the skills and competencies necessary in a workforce that can ensure effective delivery of organizational objectives in a changing world.